On Sunday March 16, 2003 in Rafah, occupied Gaza, 23 year old peace activist Rachel Corrie from Olympia, Washington, USA was crushed to death by a US made (Caterpillar D9R) Israeli bulldozer while protesting non violently. She was trying to prevent the demolition of the home of a Palestinian family (a pharmacist, accountant, their wives, and five young children). As a volunteer with the International Solidarity Movement (ISM), Rachel was in Gaza opposing the bulldozing of Palestinian homes by the Israeli army. The video above is an excerpt from the award winning documentary Occupation 101, which if you have not yet seen, I highly recommend you do. 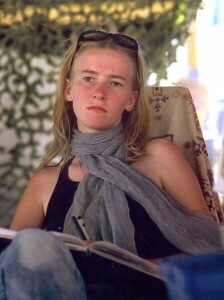 It is now 7 years since the death of Rachel, and there is yet a thorough investigation to be done of the death of Rachel Corrie. The family of Rache are bringing a civil lawsuit against the Israeli defence ministry for Rachel’s killing. The Haifa District Court began hearing eyewitness testimonies today, the 10th of March 2010. The court heard the testimonies of two ISM witnesses today. The case continues. Israel has granted visas to four key witnesses, three Britons and an American. These fellow members of ISM were at the scene in Rafah when Corrie was killed and will give evidence, according the family lawyer, Hussein Abu Hussein. “As we approach the seven-year anniversary of Rachel’s killing, my family and I are still searching for justice. The brutal death of my daughter should never have happened. We believe the Israeli army must be held accountable for her unlawful killing,” said Rachel’s mother, Cindy Corrie who will be attending the trial today. “We hope this trial will also illustrate the need for accountability for thousands of lives lost, or indelibly injured, by the Israeli occupation and bring attention to the assault on nonviolent human rights defenders – Palestinian, Israeli, and international,” stated Ms. Corrie. I recommend a read through the sites listed at the bottom of this article if you wish to learn about the great woman that was Rachel Corrie. Rachel was a brave, courageous and heroic woman, an inspiration to us all. A woman who sacrificed her life defending the Israeli destruction of a Palestinian home, defending a palestinian family. She will not be forgotten. May her soul rest in peace.